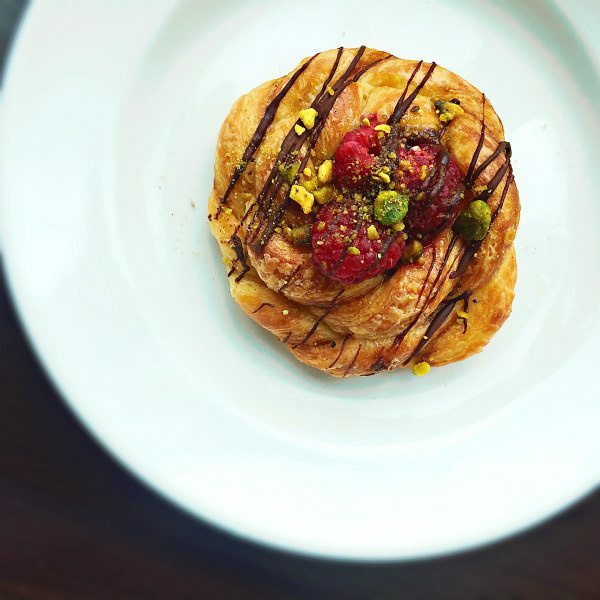 … and beautiful pastries made from scratch. 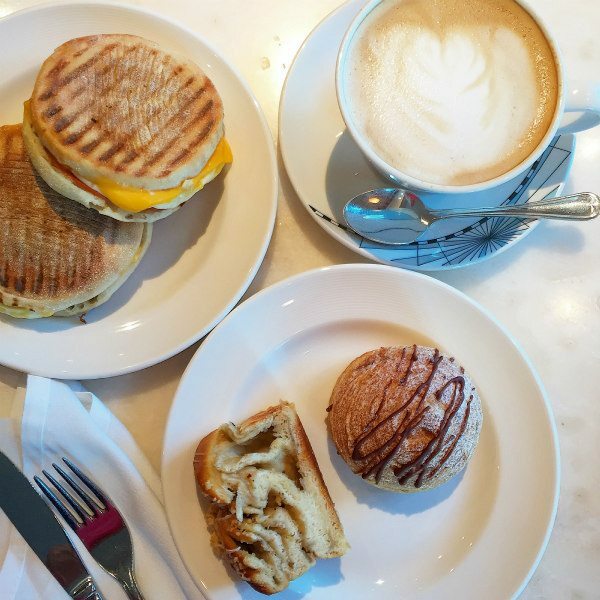 The International Cafe is also a good choice for lunch- they offer salad choices, light sandwiches and sweet treats. There is also a gelato bar! 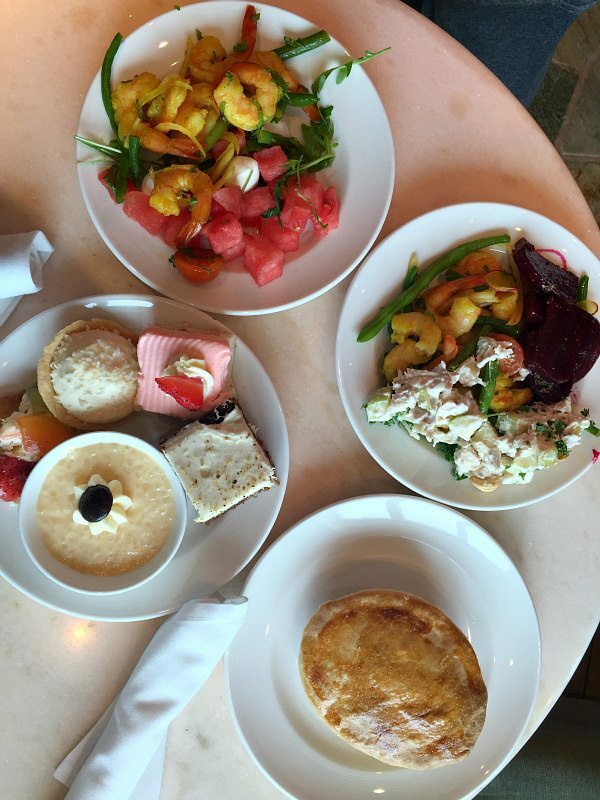 You can also visit the buffet on the main deck for lunch for a variety of offerings- it’s a good place to create-your-own salad too. 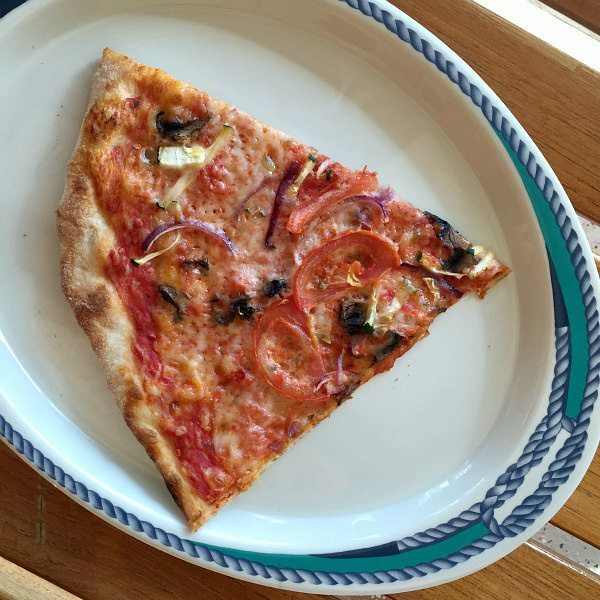 There is a pizzeria on board too- offering the usual + a pizza-of-the-day. 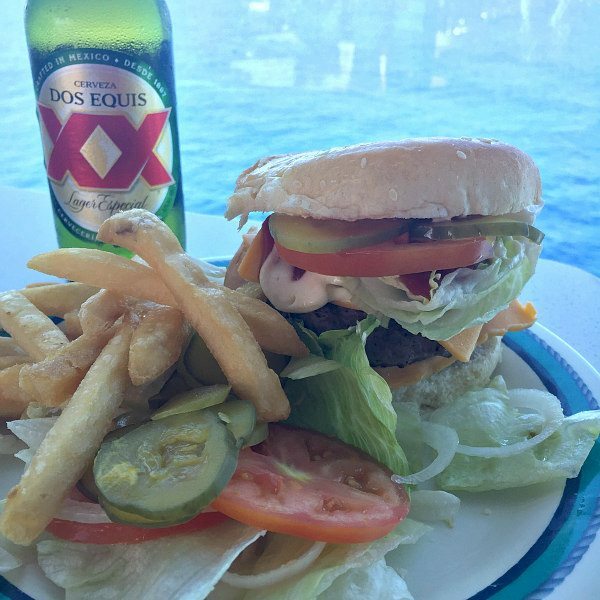 Burgers, hot dogs and grilled chicken sandwiches are another casual lunch option in the main pool area of the ship. 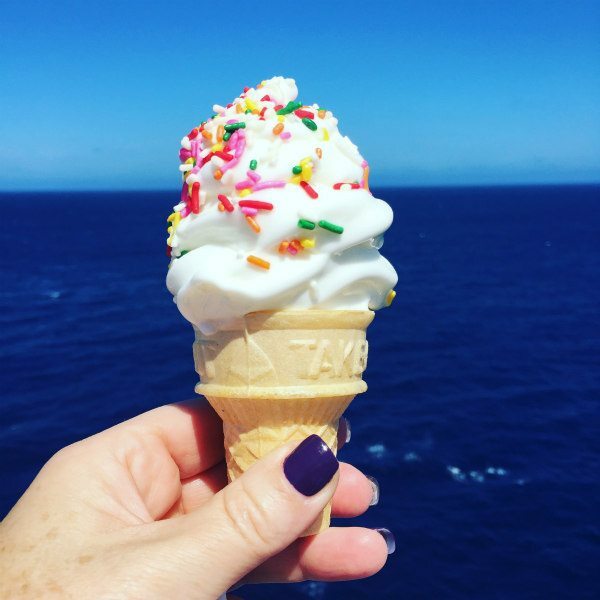 And soft serve ice cream with sprinkles is all too easy to grab on a hot, sunny day. 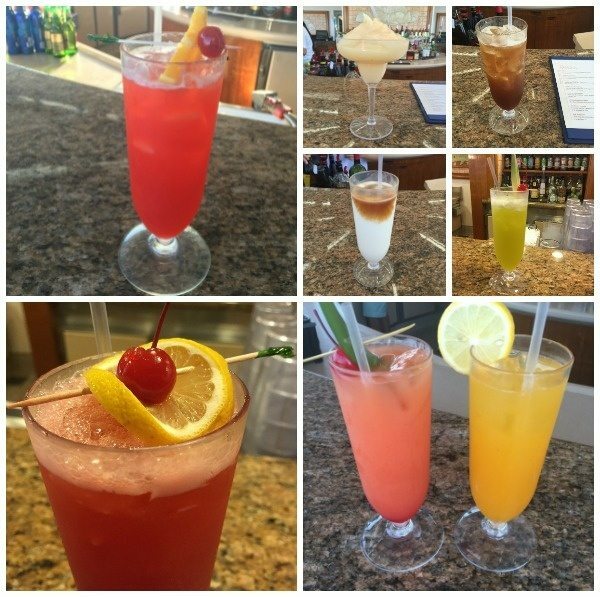 The Paradise Punch cocktail was our favorite for Happy Hour, and we had it many times during the cruise- Paradise Punch (Absolut + Southern Comfort + Amaretto + Grenadine + Lime Juice + Pineapple and Orange Juice). It turns out we enjoyed trying out a bunch of other cocktail offerings too! 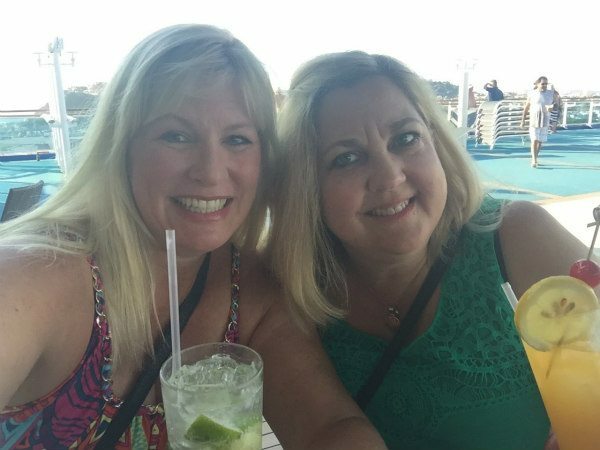 When you’re cruising… having a tropical cocktail feels like the right to do! 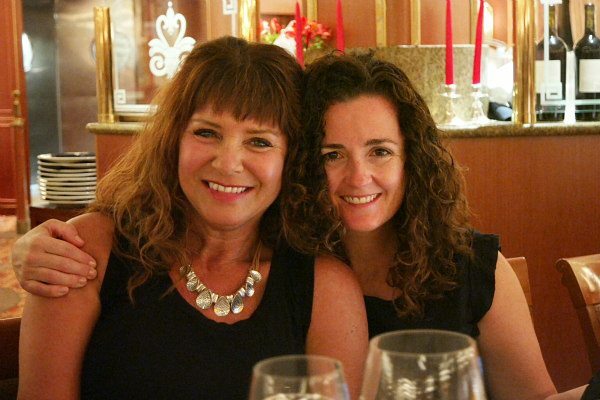 I think it’s pretty clear that my cousin Kelly and I had a great time on our Princess cruise! In the evenings, we met up with some of our travel friends for wine and appetizers- this is Sandy (ReluctantEntertainer.com) and Sandra (ADashOfSanity.com). These girls are both so much fun. One of our favorite places to hang out on The Ruby Princess come 5 o’clock was a wine bar in the Piazza called Vines. 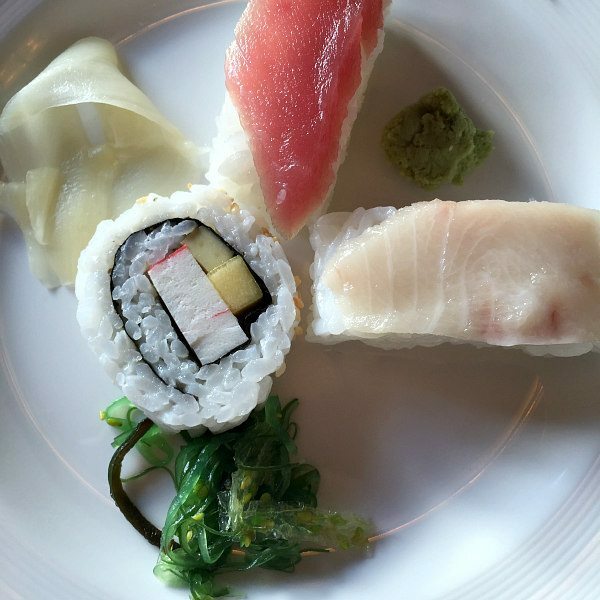 It’s a relaxing, nice atmosphere with plenty of good wine choices and little tapas plates and sushi samplers. 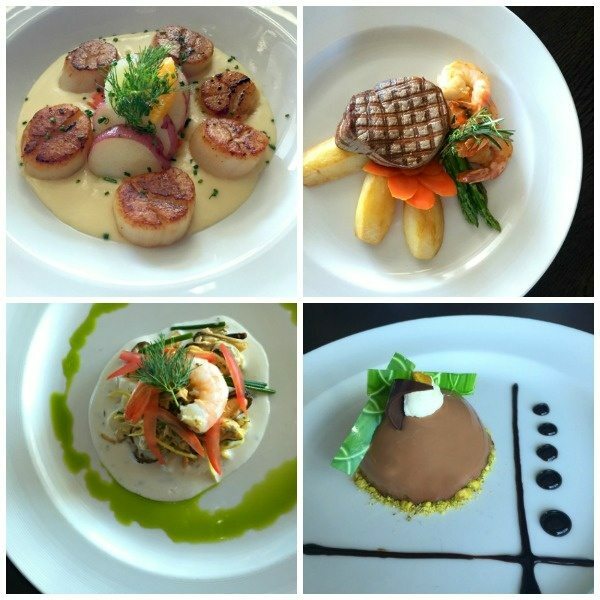 Regular dining options for dinner include a choice of dining in three different dining rooms. There are options to eat with a large group or at a more intimate, smaller table. A couple of nights, our travel group dined together in the Michelangelo Dining Room. We really had great food on these nights- chosen off a menu. 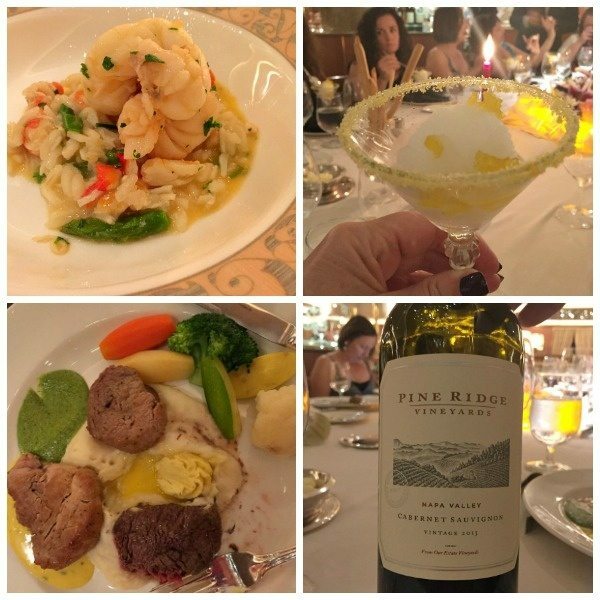 Everything was very fresh, and the steaks and seafood were fabulous. 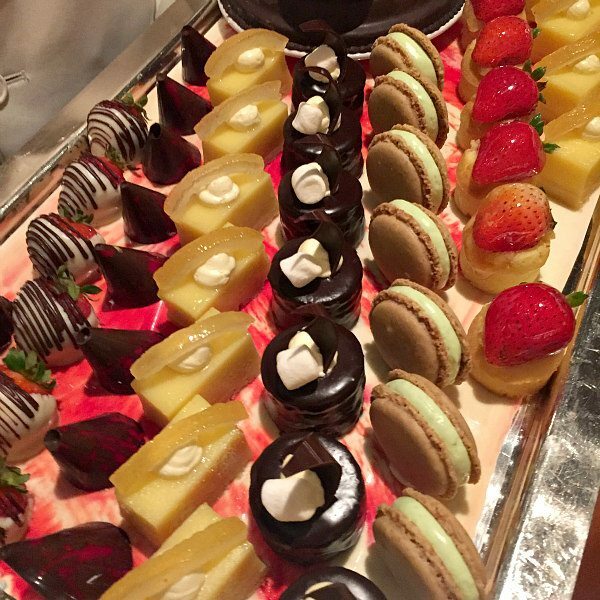 Of course, we couldn’t resist the desserts! 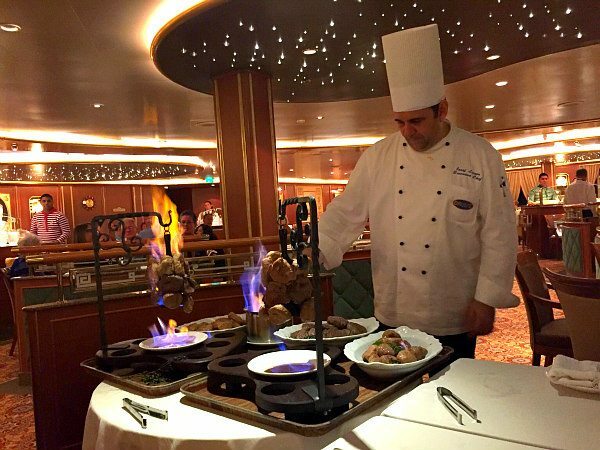 You may also try out the specialty dining options on the ship. 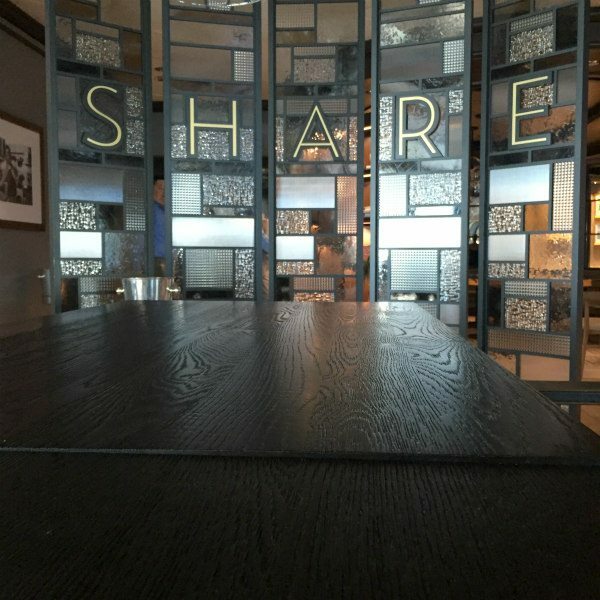 SHARE by celebrity chef Curtis Stone is designed for sharing dishes family-style with the people you are dining with. I love the vibe of this restaurant- you’d have no idea you were on a ship! 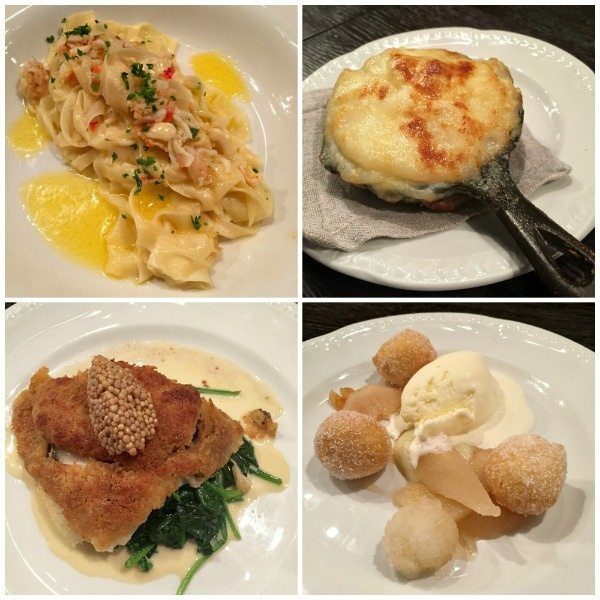 We sampled so many wonderful things at this special dinner– Tagliatelle with crab, Truffled Potato Gratin and Ricotta Fritters were my favorite. 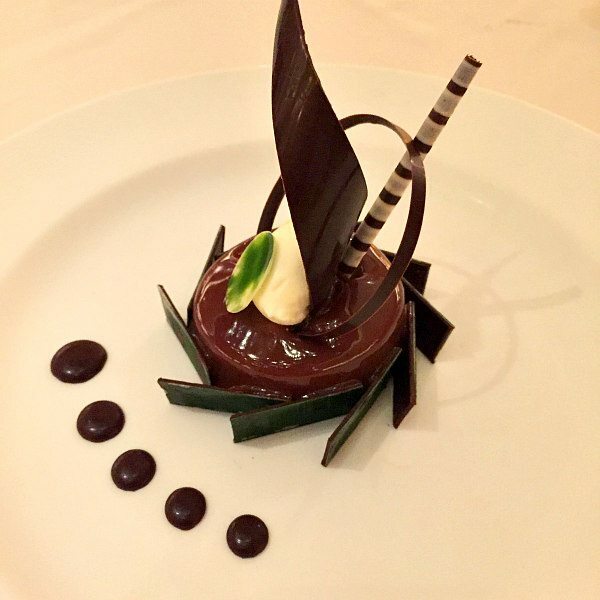 They also offer charcuterie, composed salads, handmade pastas, premium quality meats and an array of decadent desserts. I must say that I was so surprised to see that such a well-known chef was behind a restaurant at sea. 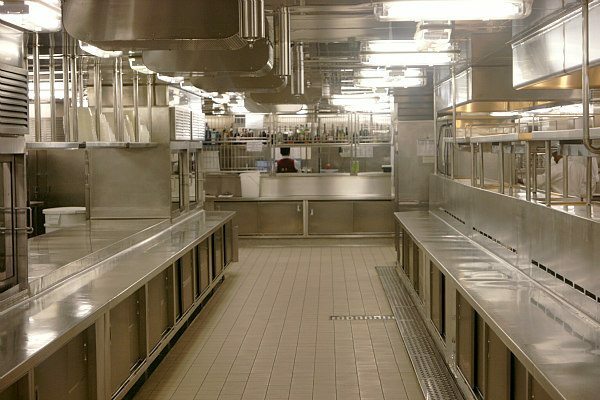 It truly turns dining on a ship into a culinary experience. 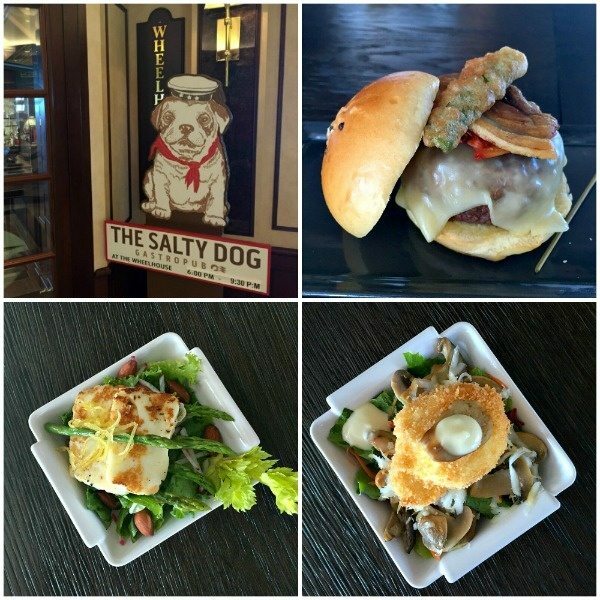 We also ate at The Salty Dog Gastropub (another specialty dining option) a couple of nights while on board. This was truly my favorite place to eat on the ship. I’m quite certain that our group managed to order and sample every single item on the menu. It was all SO GOOD. Pictured above are some of the best things on the menu: the Ernesto Burger (fresh ground ribeye, grilled pork belly, gruyere, caramelized kimchi, beer-battered jalapeño, charred onion aioli, smoked salt and pepper brioche bun), Charred Asparagus and Toasted Haloumi (lemon-shallot vinaigrette and smoked almonds), and the Wild Mushroom Sauté (porcini, portobello and shiitaki + crispy poached egg, oregano smoked scamorza, truffle garlic purée and lemon zest). Truffle-parmesan or sweet potato fries came with each selection. My favorite dessert at this place was the Coffee and Doughnuts (espresso mousse + cinnamon and jelly donuts). 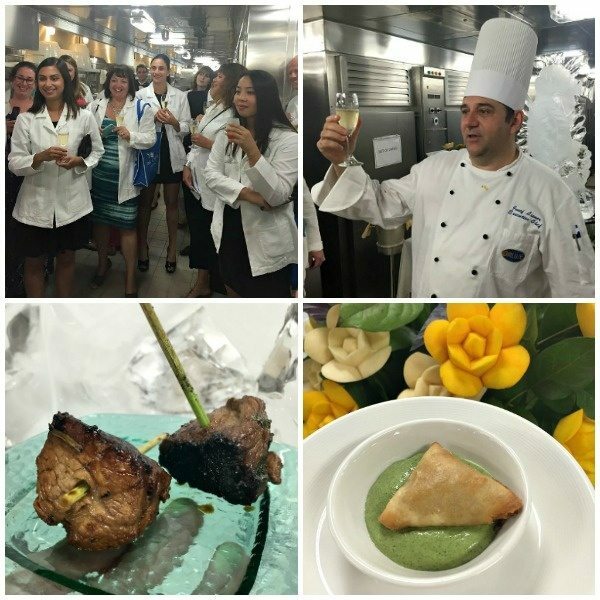 One of our special nights we were invited into the kitchen to tour the main kitchen, meet the head chef and sample some gourmet appetizers. Yes, the kitchen really was that clean! That evening, we experienced eating at the Chef’s Table. The chef himself came out to fire three different kinds of meats on the spot for us- and those meats were served with a variety of sauces. It was a memorable experience with a LOT OF FOOD. We discovered this wine and enjoyed it so much that we asked for it the next night too. … and a variety of other goodies to choose from. There were roses to complete our perfect Chef’s Table evening, of course. On our last night, we had the opportunity to eat at yet another specialty dining restaurant: The Crown Grill- a steakhouse type restaurant with seafood and aged, premium Sterling Silver steaks and chops. I didn’t take any photos, but the Crown Grill is definitely worth mentioning. Highlights of this meal were the Pan-Seared Pacific Scallops, Black and Blue Onion Soup (with Jack Daniels and a Roquefort Crust) and the Ribeye~ it is a terrific restaurant in a nice setting. It’s safe to say that we didn’t come home from this cruise hungry. 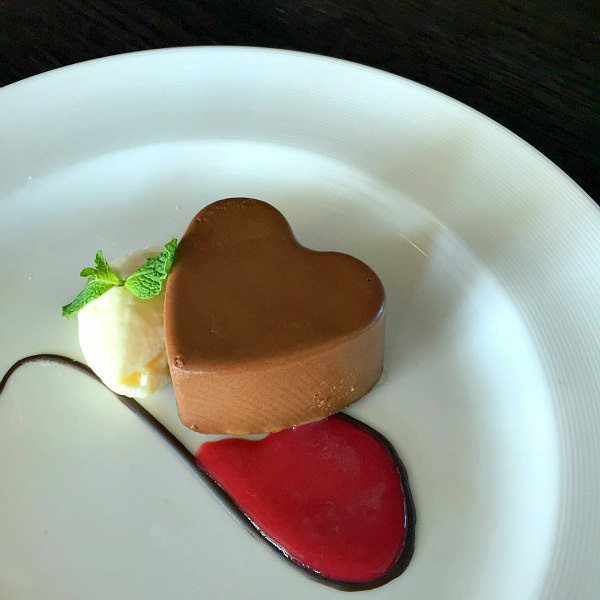 We took advantage of every delicious experience that was offered, and it was all very much worth it! Watch for posts on Sundays (my travel-post days) to find out more about Princess Cruises and The Ruby Princess. 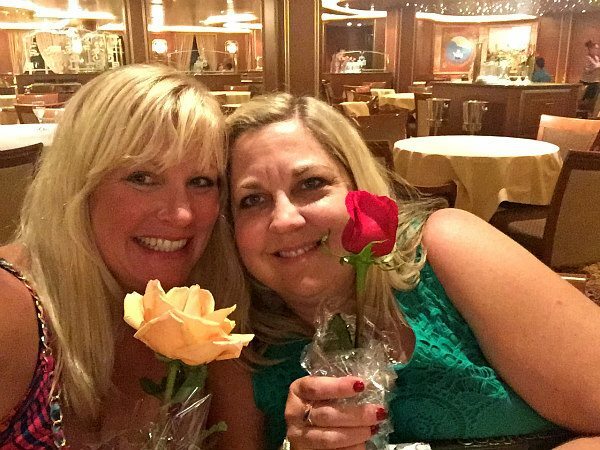 If you’ve ever wanted to take a cruise and are considering Princess Cruises, you’ll want to see what else I have to share! Learn more about The Ruby Princess HERE, and visit the Princess Cruises website for more general information about all of their cruises and ships. 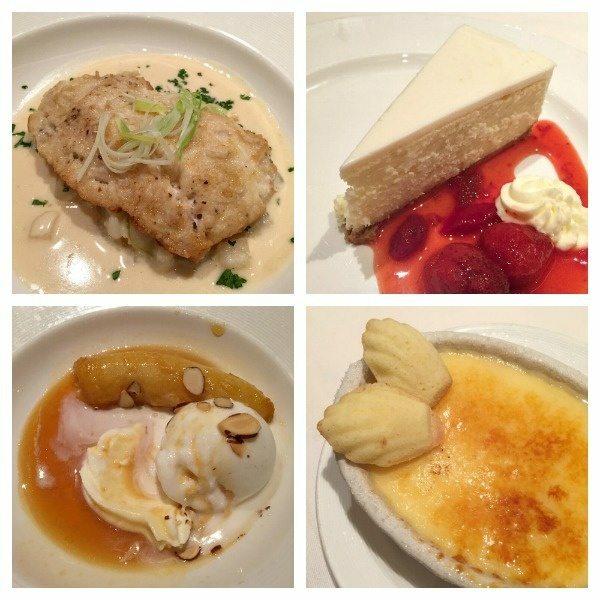 Disclosure: I’m so thankful to Princess Cruises for hosting me and my guest on this cruise so that I could write about my experience and share it with RecipeGirl readers. All opinions shared about my experience on this trip (as always) are my own. Wow that food looks amazing. I have never been on a cruise, but all that great food scares me. I am afraid I ‘d have no self-control and don’t want to gain 10 pounds!! !